Slightly lower monthly growth estimate relative to April, but the yearly estimate continues to track higher. 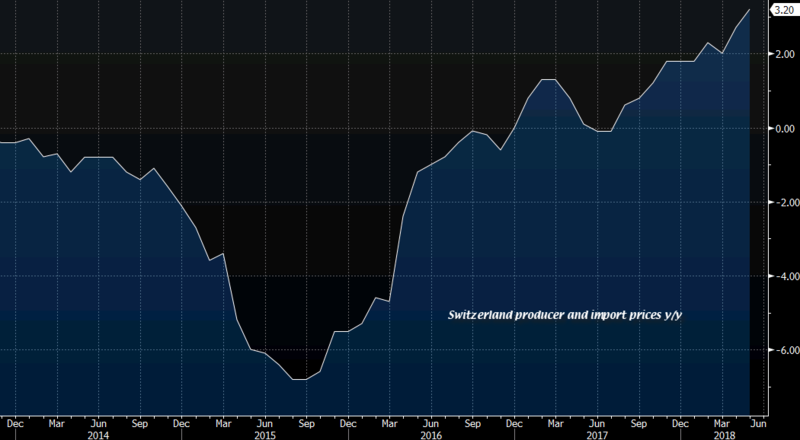 And that goes in line with the improving inflation figures in the Swiss economy. A minor data point, but at least shows the continuous uptrend in rough inflationary pressures.